Extensive health information on various topics presented on a website that offers premium user experience. Due to a lot of requests, it may take some time for your article to get published. An all-around website presenting comprehensive and science-based health information in various areas, including health conditions, product reviews and actionable tips. Do you have a health problem and could use knowing more about it? Are you on the hunt for helpful tips that can assist in achieving a healthy lifestyle? Or want to shape your nutrition in a way that will help you lose those extra pounds gained over the holidays? If the answer to any of these questions is yes, ConsumerHealthDigest.com is a website that can be of great help. Over more than 15 years of history, the platform has established an enormous reputation among the users. Let’s take at an in-depth look at why that is the case. When you visit the homepage of Consumer Health Digest, the first thing that you notice is an intuitive user interface. The simplistic yet beautiful design offers a beautiful user experience. Even the visitors that consider themselves newcomers to the online world won’t have a problem with finding the information they need. As described on the website’s starting page, ConsumerHealthDigest.com is focused on providing top-quality health content and making it available to the users worldwide. They are dedicated to evidence-based information, actionable health tips, and guides, as well as product reviews that extensively describe health products that can help manage your health in an optimal way. Considering that they are a commercial platform, you may also encounter personalised recommendations and promoted products based on affiliation. When browsing Consumer Health Digest, you will encounter several different sections. The first is the so-called Health Center. In this area, you can easily browse article based on the category that interests you. After choosing between health and wellness, beauty and skincare, and men’s and women’s health, you can also pick a subcategory. Once you pick a particular health issue or concern, you will get the list of all articles published on the platform related to that. It includes the latest news and breakthroughs related to the topic, as well as expert advice, and tips that you can use immediately after reading the article. You can even find various food recipes, such as suggestions for a Christmas dinner menu. You can even find various food recipes on the website. The next section is entirely dedicated to fitness. Whether you are a newbie that only intends to start working out or an experienced person trying to optimise their routine, you will find plenty of useful articles on the site. The article may focus on specific routines, such as marathon training, but there are also many general tips and expert insights that you can utilise. This section also has content dedicated to those who are looking to lose weight, and you can find out how to optimize your diet to achieve optimum weight or boost muscle mass. Consumer Health Digest also has a special section dedicated to health condition guides. These are listed alphabetically from A to Z so that you can easily find what you are seeking. Believe it or not, there are more than 100 detailed guides about particular diseases and conditions ranging from arthritis to yeast infections. Upon entering a particular guide, it will immediately become clear that the authors love going into details and providing comprehensive information. That is why visitors love ConsumerHealthDigest.com – they have everything they need in a single place, and they do not have to look for other websites to complete their knowledge. A typical guide contains general information about the condition or disease, causes, and risk factors, as well as signs, symptoms, and how to diagnose it. From there, it is explained how to treat the condition, as well as what you can do to prevent it. One of the crucial and most useful sections is dedicated to product reviews. According to the website’s count, there are thousands of available reviews. The most popular categories include weight loss supplements, male health products, joint pain pills and creams and beauty products. With reviews spread in more than 30 categories, you will easily find what you are looking for. Each category has a page explaining you a bit more about particular supplements and the ingredients that could help. You can even check out the recommendations of the website regarding the health products you should choose. Once you enter a particular review, you will find detailed and unbiased information about the product. From the general overview to manufacturer’s data, working process, and the ingredients, you will learn everything relevant about a particular supplement. The reviews are rounded up with advantages and disadvantages and a final verdict. 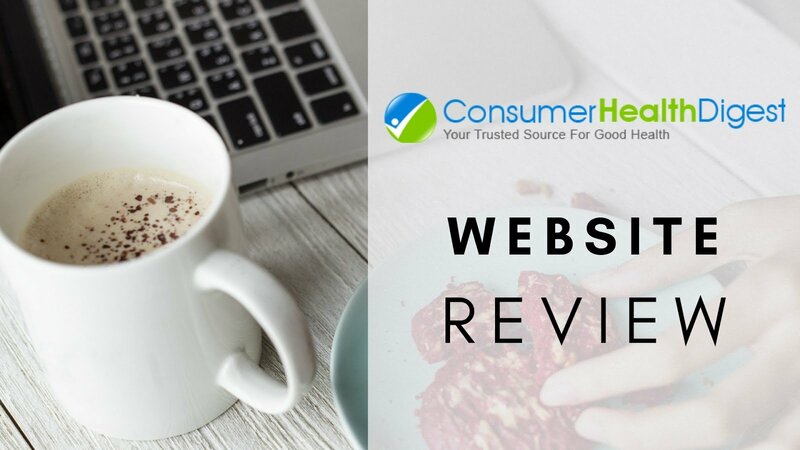 By reading reviews of several products designed to help with a particular problem, you can make an informed decision and purchase a product that will effectively help with the issue that has been bothering you. Consumer Health Digest allows you to contribute to their website by writing an article and sending it to them for publishing. There are certain guidelines that you need to follow regarding the quality and formatting of an article. On top of that, the editing team will carefully review the content you sent before publishing. The goal is to ensure that any facts and claims made are supported by credible sources and all information is evidence-based. That is how the website maintains its reputability and the position of a leading health info provider on the entire internet. The only problem related to this that may appear is that you may spend a week or two on the waiting list before your article gets published. That seems understandable considering that numerous authors from around the world submit their content each day and it takes time for the authors to review and double-check everything. Naturally, the decision about publishing the article is completely up to them, and they reserve the right to modify it to a certain extent if relevancy and accuracy need to be improved. Consumer Health Digest allows you to contribute to their website. The process may take a bit of effort, but Consumer Health Digest emphasises it is a privilege to work with talented writers from different continents. It is the desire of experts in various areas to contribute that immensely helped this website establish itself as the leading platform. Not only they are doing their best to stay in touch with the community, but they are also working with the community to spread health awareness. They even started an initiative called ‘Health Awareness Program‘ recently. Its goal is to make the entire world a happier place, but by focusing on improving overall health and well-being awareness on a local level. The initiative is uniting every stakeholder interested, such as community members, social influencers and other ambitious people. ConsumerHealthDigest.com is a reliable source of evidence-based information related to promoting and optimizing physical health and well-being, as well as fitness, beauty, and nutrition. The website offers health guides, tips, and product reviews that are comprehensive and unbiased. It is publicly accessible and doesn’t require any form of membership or registration to access the content.